As mentioned I recently visited Ondangwa Airport. Today Ondangwa is an important airport in Namibia and the only airport in the country to have two daily connections with Windhoek, both of them often fully-booked. 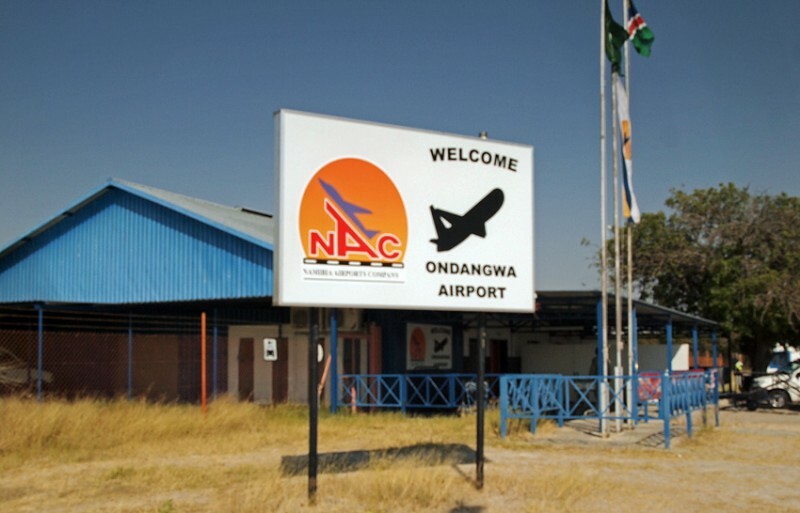 Ondangwa airport is located in the northern region of Namibia with a high population density. 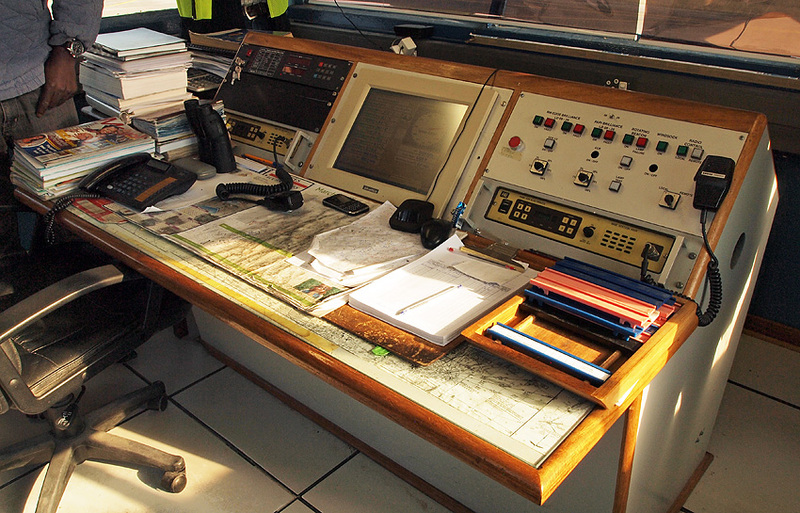 The Namibia Airports Company is planning a new terminal building here together with other projects. The airport is 1100 meters above sea level and has a runway 08/26 that is 3000 meters long. There is also a runway 16/34 with a length of 1350 meters but it is not used any longer. 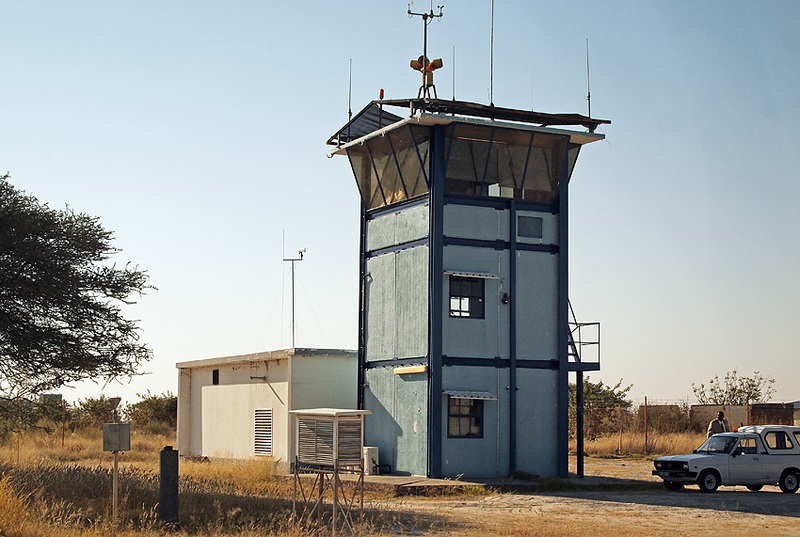 Before Namibia’s independence Ondangwa was a military airport as you can see traces of above. South African Mirage’s used to fly out of Ondangwa in the independence war. We left our Aero Commander in front of one of many empty hangars. Our mission was to visit the tower building. 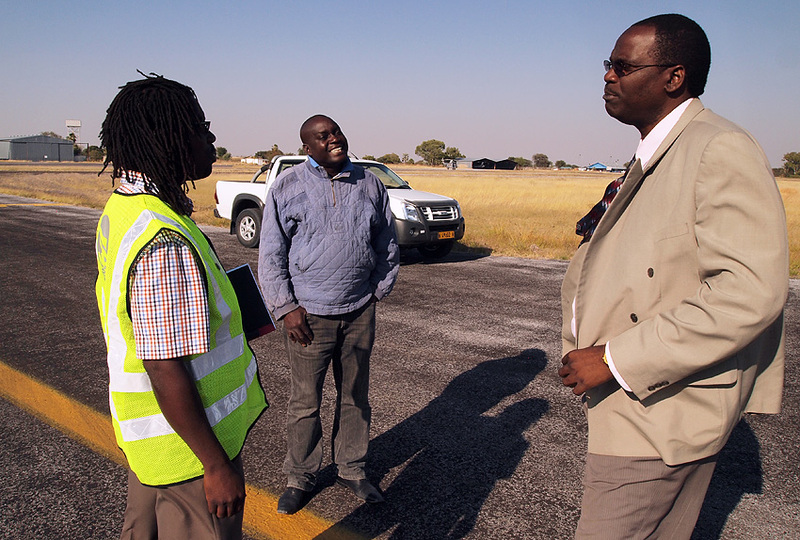 To the left the manager of Ondangwa airport, in the middle Martin, Ondangwas only permanent air traffic controller and to the right the Chief of Namibia’s Air Traffic Control. During our visit different locations for the new tower was discussed but we all agreed that the present location is good so the new tower will be built next to the old one and it will be slightly higher. So good luck with your new tower Martin!